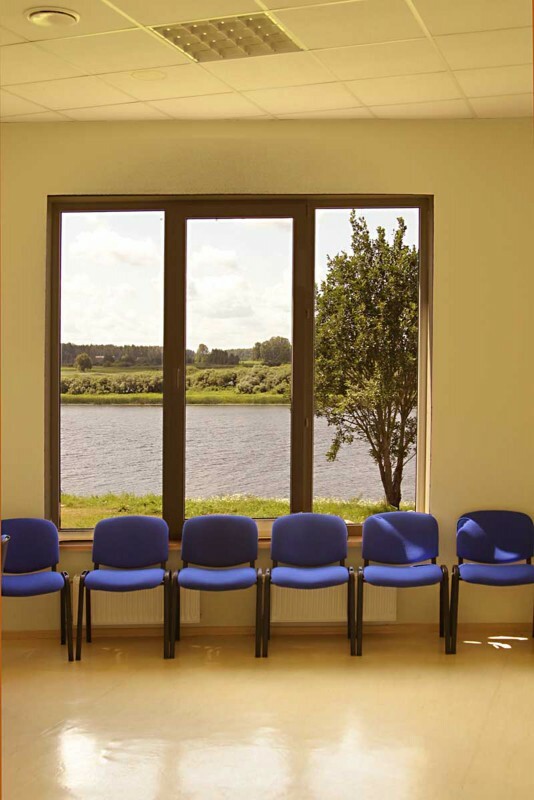 The conference hall is arranged with windows, along all its length, with a view on the changing Daugava river. 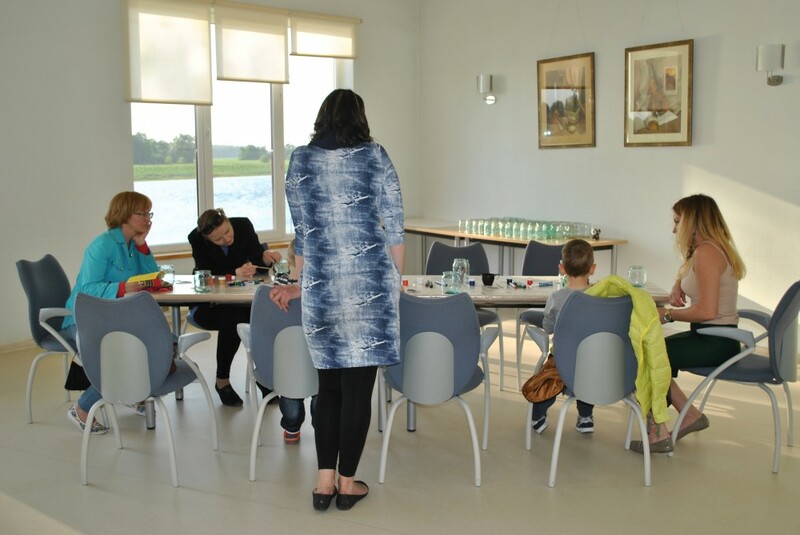 During coffee breaks one can enjoy the surrounding natural landscape and silence, get familiar with the stand alone expositions, and thematic exhibitions of artists and craftsmen’s works. 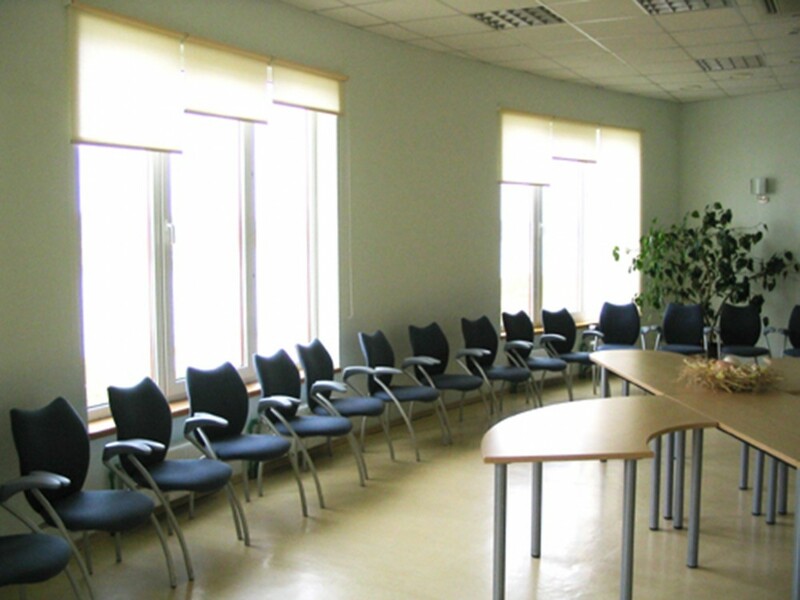 60 m2 large conference hall can be used by up to 40 people for organizing conferences, seminars and other private or public events. The hall is equipped with Wi-Fi, projector, screen and air conditioner. Rent of the conference hall for weddings: EUR 36.30 EUR / 1 hour, including VAT. The use of the conference hall needs to be agreed in advance by calling tel. +371 65381855, mob.ph. +371 28603333.